Now that your family has finally fled and you have the living room to yourself again, it's time to work off all those Thanksgiving calories with some serious shopping. That's why we've got 20 great Cyber Monday deals coming your way. Enter the code CMSAVE20 at checkout to get an additional 20 percent off. You can now fly your own X-Wing drone at speeds up to 35 mph without worrying about the Empire striking back. Normally this Star Wars drone would set you back $149.95, but you can get it at 66 percent off for just $49.99. Enter the code CMSAVE20 at checkout to get an additional 20 percent off. Upgrade your flatscreen with this LED lighting kit that automatically adapts to what's happening on the TV. Now you can finally watch The Dark Knight with the mood lighting it deserves. The DreamScreen 4K Total Surround Lighting Kit normally sells for $359, but right now you can get it at an 8 percent discount plus an additional price drop for $329.99. Use the code CMSAVE20 at checkout for an additional 20 percent off. Get your teeth Clooney-clean without shredding your gums to bits with the Aqua Flosser Rechargeable Water Flosser. It's FDA-approved to blast even the gnarliest chunks of taco meat from in between your teeth. Normally the Aqua Flosser costs $149.99, but you can jump on a 73 percent discount plus an additional price drop and get one for $39.99. Enter code CMSAVE20 for an additional 20 percent off. This 12-pack of unbreakable pint glasses is perfect for your next house party, or the next time your married friends bring their property-destroying toddler over. Right now you can get a set for $29.99. Enter the code CMSAVE20 for an additional 20 percent off. The Platinum Sonic Toothbrush obliterates plaque and cleans itself in between each use with the power of UV rays, which basically means you're cleaning your teeth with the sun. This toothbrush is normally valued at $259.00, but you can get one right now at 80 percent off for $49.99. Enter the code CMSAVE20 for an additional 20 percent off. These hypoallergenic, breathable sheets will let you sleep comfortably without sweating like an NFL linebacker. Normally they sell for $109, but you can get them at 63 percent off for $39.99. Enter the code CMSAVE20 for an additional 20 percent off. Charge up to six of your USB devices 85 percent faster than normal plebeian chargers with the Kinkoo 40W Six-Port High-Speed Charger. Normally it sells for $29.99, but you can get it at 26 percent off for $21.99, plus take an additional 20 percent off by entering CMSAVE20 at checkout. These high-quality noise-cancelling headphones block out 20 db of sound for up to 16 hours per charge, granting you the ability to never have to hear anything you don't want to ever again. Normally they sell for $149.99, but right now you can get a pair at 50 percent off for $74.99. Enter CMSAVE20 at checkout to save an additional 20 percent. 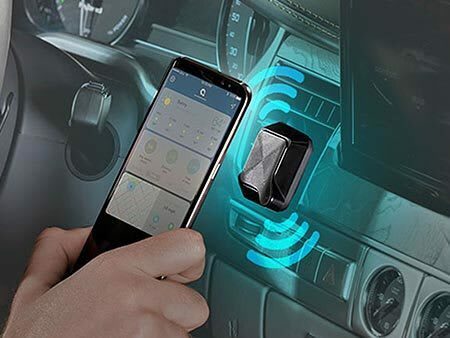 This magnetic mount easily fixes your smartphone in place anywhere in your car, so you can follow your GPS or fiddle with your playlists without getting a ticket or colliding with local wildlife. Normally it sells for $24.99, but you can get it at 39 percent off for $15, plus take an additional 20 percent off by entering CMSAVE20 at checkout. 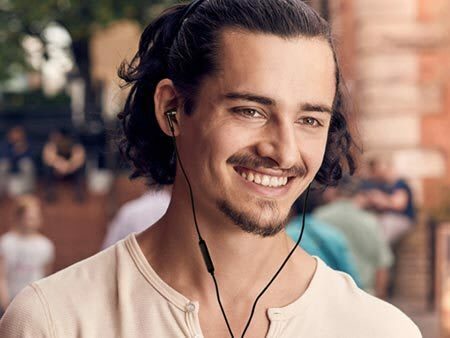 The 1MORE Dual Driver In-Ear Headphones let you enjoy your music, shows, and movies as if you had a full theater sound system installed in your head. These durable, high-quality earbuds normally sell for $59.99, but you can get them at 23 percent off for just $45.99 today. Enter CMSAVE20 at checkout for an additional 20 percent off. These Bluetooth speakers are small enough to carry back and forth between home, work and your secret lodge meetings, allowing you to bring clear, vibrant music with you wherever you go. Normally these speakers sell for $29.98,but right now you can get them at 33% off for $19.99, plus take an additional 20% off when you enter CMSAVE20 at checkout. The Beddi 2 Smart Alarm Clock acts as an alarm, a smartphone charger, a sunlight simulator, and a white noise machine all in one. It's like a tiny robot companion who just wants to help you sleep. Normally it sells for $99.99, but you can get it at 35 percent off for $64.99 today. Enter CMSAVE20 for an additional 20 percent off. This wind-and-splash-proof lighter will strike a reliable flame no matter what the hell the weather is like, making it your indispensable best friend on any camping trip. It normally sells for $99.99, but right now you can get it at 84 percent off for just $15.95. Use the code CMSAVE20 to take an additional 20 percent off. 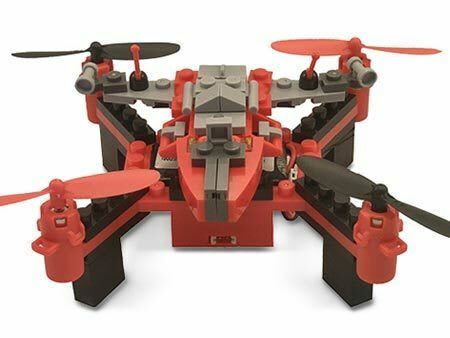 This DIY drone kit lets you assemble virtually any drone with the power of Legos, meaning that when you terrorize your neighbor's pets, it will be with a UFO of your own creation. Normally it sells for $49.99, but you can take 20 percent off plus an additional price drop and get it for $39.99. Enter the code CMSAVE20 at checkout to take a further 20 percent off. Keep your home safe from burglars, solicitors and unexpected Purge participants with this app-controlled motion-sensing camera. Normally the camera sells for $169, but right now you can get it at 23 percent off for $129. Use the code CMSAVE20 to take an additional 20 percent off. Create any style of paper airplane you can think of and turn it into a radical smartphone-controlled drone with the POWERUP 3.0 Paper Airplane Kit. Normally the kit costs $49.95, but you can get it at 13 percent off for $42.99 today. Use the code CMSAVE20 to save an additional 20 percent. The Tesvor Robot Vacuum integrates with Google Home and Alexa, allowing you to clean your house by shouting at a tiny mechanical butler (a dream most of us have had since childhood). Normally the Tesvor sells for $199.99, but you can take 5 percent off and get one for $189.99 today. Enter the code CMSAVE20 at checkout to save an additional 20 percent. Get a box of awesome gaming collectibles delivered right to your door every month with Loot Gaming. 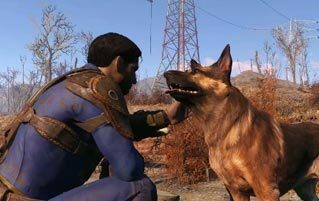 You'll never again have to worry about driving out to GameStop at 6 a.m. and waiting in line to fight some kid's grandma for an exclusive POP figure. A three-month subscription normally goes for $98.85, but you can get one for $65.90 today. Enter CMSAVE20 at checkout to take an additional 20 percent off. This portable gym is essential for anyone who is too lazy for the gym, but not too lazy to work out in their living room. It delivers a full set of gym equipment in a totally portable package for just $149.99 (normally $169.99). Enter CMSAVE20 at checkout to take an additional 20 percent off. Get the muggle equivalent of owl mail with a six-month subscription to J.K. Rowling's Wizarding World Crate. You'll score a box of exclusive Harry Potter collectibles every other month for an entire year, which should ease the pain of another disappointing Fantastic Beasts movie. Normally this would set you back $128.97, but Cracked readers can take 33 percent off that price and get one for $85.98. Enter CMSAVE20 at checkout to save an additional 20 percent. Don't Race to those Black Friday lines. Shop our Cyber Monday sale and Party On, Bane. Not sure where to start? Check out these 9 Gift Ideas That Guarantee You'll Win Secret Santa.